Pilgrims make thanksgiving blessings. Over ten monks and priests cook the porridge together, and send it to tourists on January 27 on Nanyue Mountain. January 27, 2015, the eighth day of the twelfth month of Lunar Chinese Calendar (known as Layue in Chinese), is a traditional Chinese holiday - Laba Festival and the enlightenment day of the Buddha. 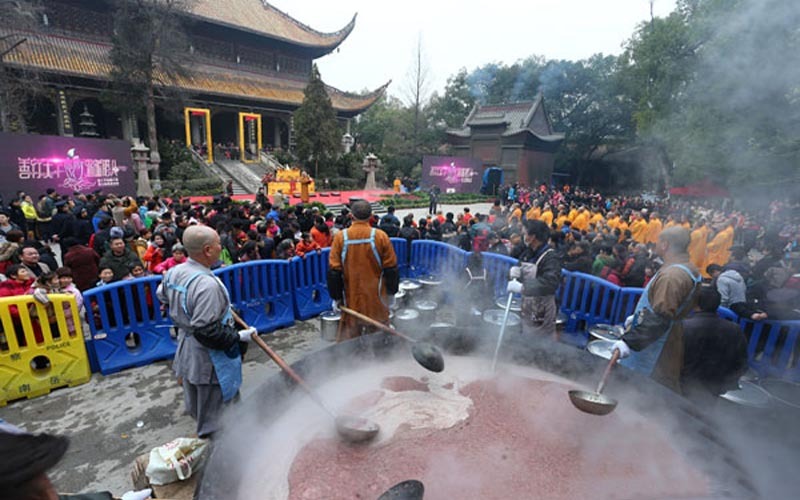 Despite the chilly weather, about ten thousand tourists and citizens came to Nanyue Grand Temple to share the Laba Congee cooked in a "Thousand-monk Pot", praying for a great Chinese New Year.